Jesus whispers, I gave my life to set you free. I gave you purpose. I called you to live in freedom in that purpose. Yet we still hobble through life, afraid to confess all the ways we push against this truth, because we cant even believe it. We continue to grasp for the approval of anyone that will offer it: whether strangers, friends, or community. Christ doesnt say you can be or may be or will be free. 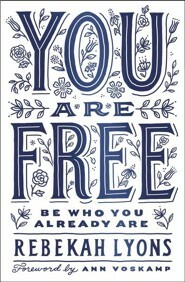 He says you are free. &bull; Overcome the exhaustion of trying to meet the expectations of others and rest in the joy Gods freedom brings. &bull; Release stress, anxiety and worry, to uncover the peace that comes from abiding in His presence. &bull; Find permission to grieve past experiences, confess areas of brokenness, and receive strength in your journey towards healing. 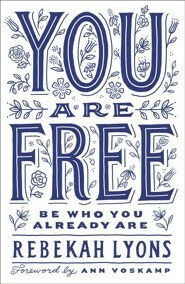 &bull; Throw off self-condemnation, burn superficial masks and step boldly into what our good God has for you. &bull; Discover the courage to begin again and use your newfound freedom to set others free. Freedom is for everyone who wants itthe lost, the wounded, and those weary from all of the striving. Its for those who gave up trying years ago. Its for those angry and hurt, brilliant and burnt by the Christian song and dance. You are the church, the people of God. 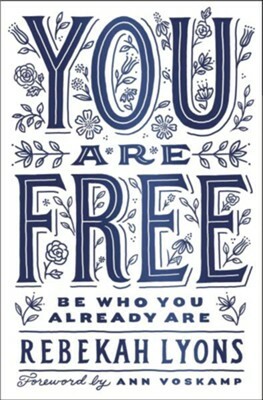 You were meant to be free. 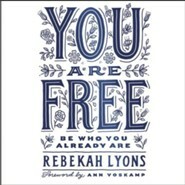 Rebekah Lyons is a national speaker and bestselling author of You Are Free: Be Who You Already Are and Freefall to Fly: A Breathtaking Journey Toward a Life of Meaning. 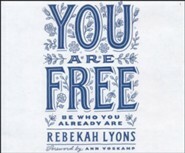 An old soul with a contemporary, honest voice, Rebekah reveals her own battles to overcome anxiety and depressionand invites others to discover and boldly pursue their God-given purpose. Alongside her husband, Gabe, Rebekah finds joy in raising four children, two of whom have Down syndrome. She wears her heart on her sleeve, a benefit to friends and readers alike. Her work has been featured on Good Morning America, CNN, Huffington Post, The Tennessean, Publishers Weekly, and more. 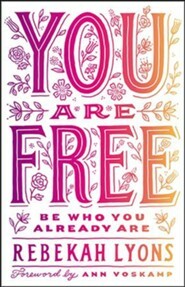 I'm the author/artist and I want to review You Are Free: Be Who You Already Are - eBook.